You may have noticed a shift in the way search is being treated lately or, at the very least, you’ve likely detected that Google’s marketing has changed. The search giant is now encouraging people to interact with their products—whether Google Search itself or Google Glass or Android’s Google Now voice search feature—as if they were speaking to a person. Indeed, “OK Google, show me some cat pictures” seems to have replaced typing “cat + pictures” into a search bar. This is called natural language search or, in some cases, the semantic web. In case Google embracing hasn’t tipped you off, it seems natural language search is the next big step for search. One of the main reasons natural language is gaining prominence in search is the growing use of voice search. We’re all familiar with Apple’s Siri, but it seems every mobile platform now has its own voice assistant option, from Windows Phone’s Cortana to Android’s Google Now. That doesn’t mean natural language is restricted to voice search, but rather that it has uncovered a user preference for receiving relevant answers to conversational queries. It’s likely this desire has been there since the early days of search but the technology hasn’t been able to deliver until now. Regardless, it’s clear that the way people search is fundamentally changing. So how can your marketing efforts adapt to keep up with this change? For starters, don’t over think or overdo it. It’s tempting to transform all of your content to better fit the question and answer format, but that’s not a very good strategy—especially since pandering to SEO is more likely to tank your search rankings than improve them these days. Instead, consider which of your site’s pages can be naturally optimized for specific questions and answers for optimal results. Take this one step further by incorporating two key elements: clarity and authority. 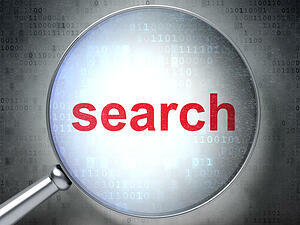 For the former, keep in mind that Google searches for clear answers to searchers’ questions. But the latter element is how you can really make your site shine. By establishing your authority in a subject or field, Google will be much more likely to draw information from your site instead of a competitor’s. Being viewed as an authority in your field will gain you more trust from Google, making it more likely to promote your site. Have anything to share about natural language search? Let us know in a comment below!